50 x 80 x 3.5cm (overall). Courtesy of the artist and Pilar Corrias Gallery. Photo: Ken Adlard. 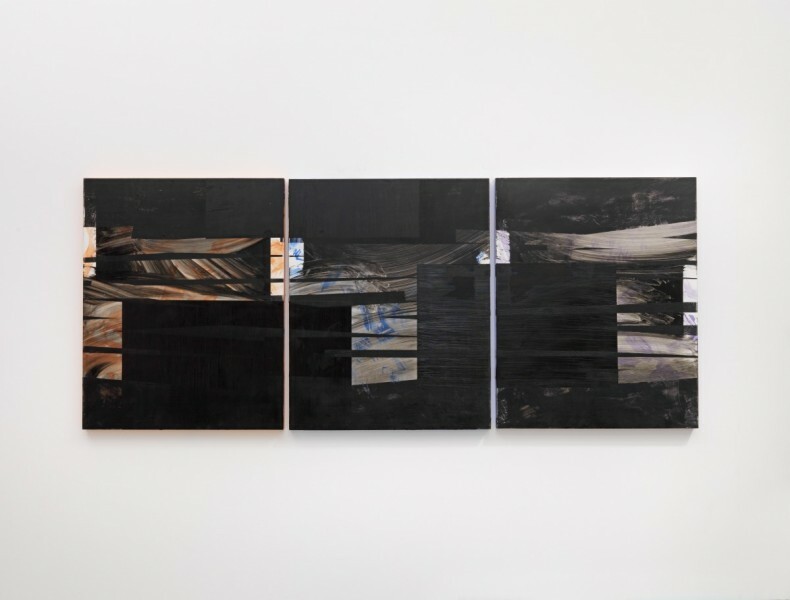 Mary Ramsden,.“...this television is just a large, broken radio with abstract art on the front.”, 2015, oil on board, two parts: 50 x 40 x 3.5cm (each), 50 x 80 x 3.5cm (overall). Courtesy the artist and Pilar Corrias Gallery. Photo: Ken Adlard. 25 x 18 x 3.5cm. Courtesy of the artist and Pilar Corrias Gallery. Photo: Ken Adlard. three panels: 76 x 61 x 3.5cm (each) / 76 x 183cm (overall). Courtesy of the artist and Pilar Corrias Gallery. Photo: Ken Adlard. 51 x 41 x 3.5cm. Courtesy of the artist and Pilar Corrias Gallery. Photo: Ken Adlard. 76 x 61 x 3.5cm. Courtesy of the artist and Pilar Corrias Gallery. Photo: Ken Adlard. 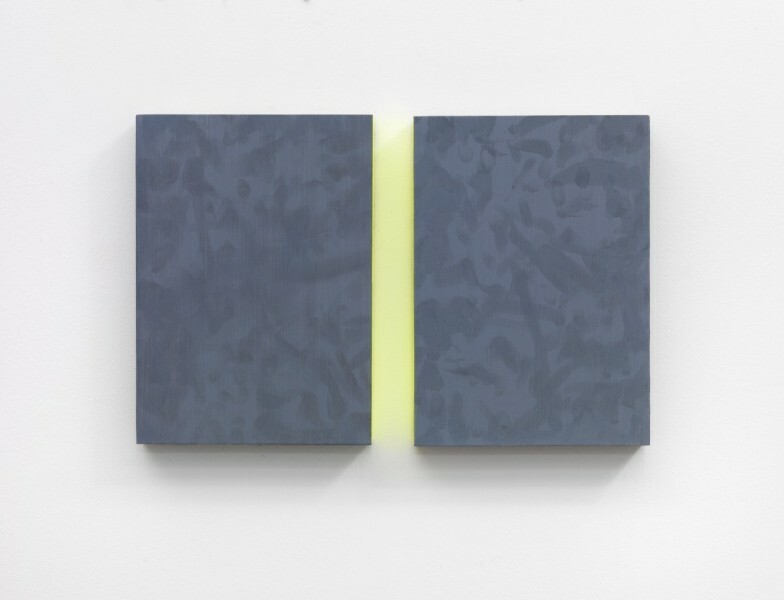 Mary Ramsden, One-two, 2015, oil on board, 2 panels: 26 x 18 x 3.5cm (each) / 26 x 36 x 3.5cm (overall). Courtesy of the artist and Pilar Corrias Gallery. Photo: Ken Adlard. 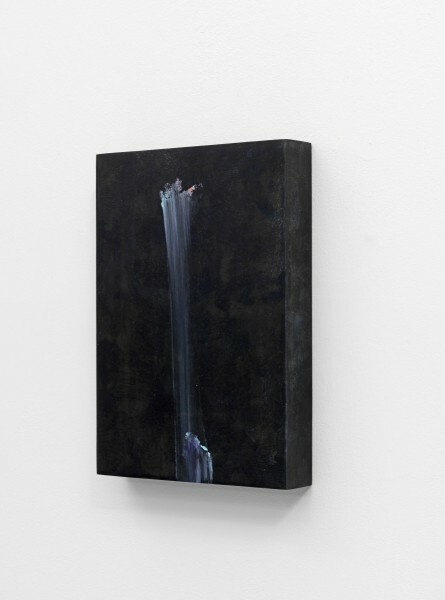 Mary Ramsden is having her second solo show with Pilar Corrias Gallery. Her first, in 2012, took place when she was still studying for her masters degree. Three years on the work evinces many of the same concerns with materiality, but the muted colours that she used previously have been joined by seductive glimpses of neon yellow and orange. An artist much concerned with edges, Ramsden’s paintings, all using quite traditional oil on board, emphasise their object quality by layering colour on to the slim sides of each panel. 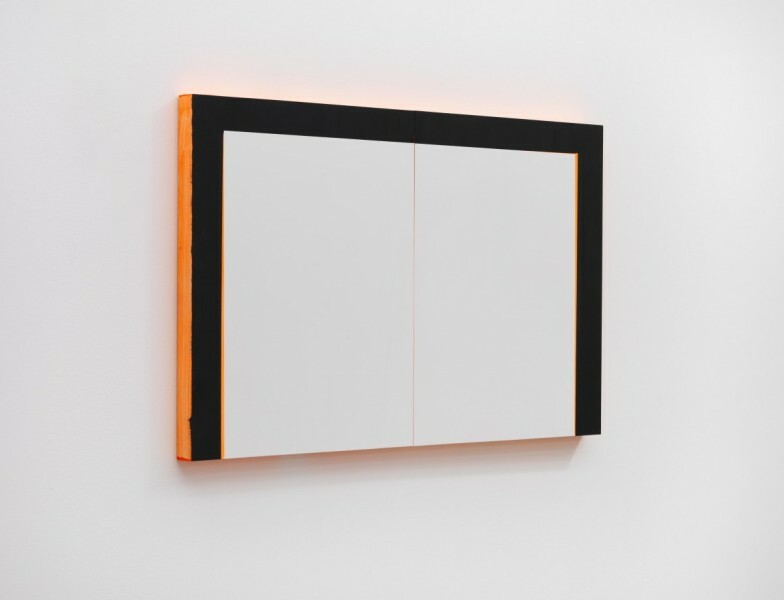 In the two panel works, where there is a gap of only a few milimetres, this is particularly pleasing as the neon orange on the inner faces of the panels creates a subtle orange glow. 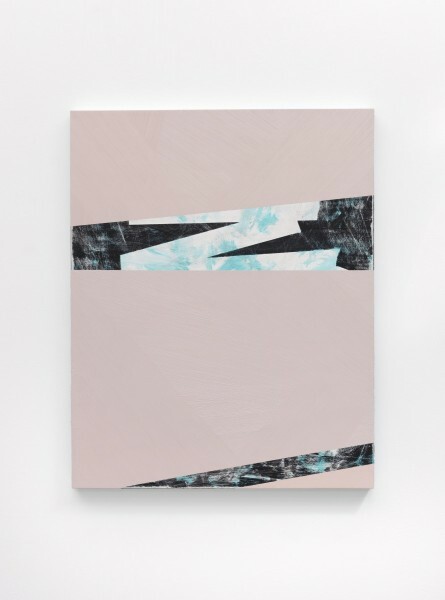 The strategy recalls some of the works that Tomma Abts, mistress of contemporary abstraction, was producing around 2012, where some of her small scale canvases were divided into two separate panels such that the gap between them became at once part of the composition, but also a thrilling, bravura void. Where Abts lures the viewer in to an abyss, Ramsden fills the space with a spectral machine light. 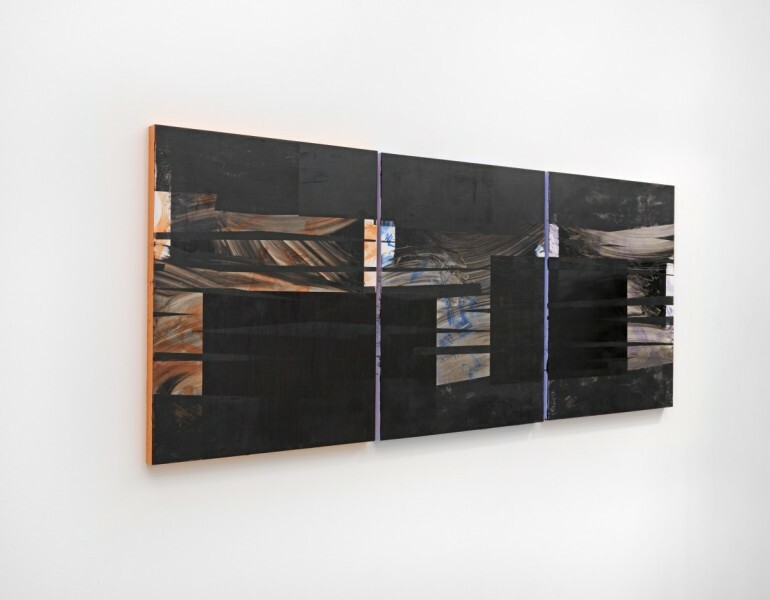 Ramsden’s paintings deal also with a layering of monochrome rectangles, typically with the uppermost one at an oblique angle to the support. One discerns diaphanous layers of colour beneath, where paint has been scraped back and reapplied, giving a sense of depth and bodily engagement within strictly geometric schemes. The title of the exhibition – Swipe – seems to have two interpretations in play. 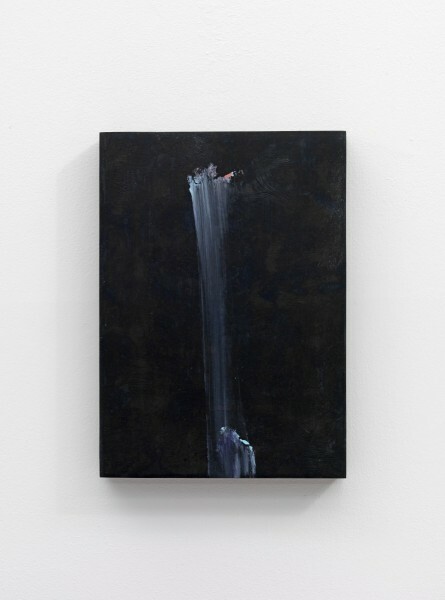 The first painting you see on entering the gallery, a tiny canvas called Lick 4 (2014), looks like the gesture of a paint-covered hand swiping down the canvas. It has a luscious, painterly quality that sits agreeably in counterpoint to the more hard-edged abstraction of the majority of the works. 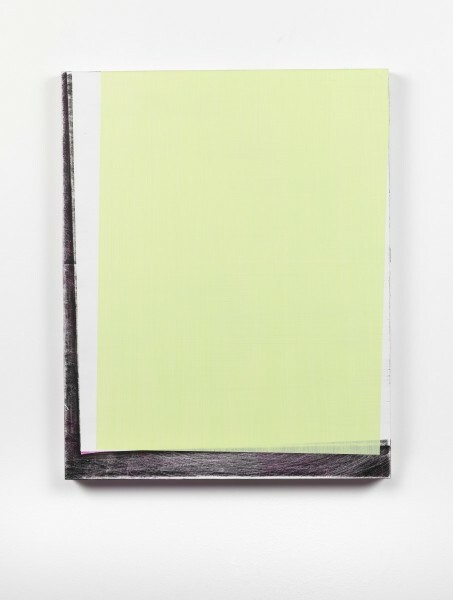 In these the title directs the viewer quite straightforwardly to the way we engage bodily with the ubiquitous touch-screen technology of the smartphone and tablet, and the notion of page upon page of digitised data. The titles of individual paintings have a colloquial, mid-sentence quality – “…all milkshake and ice-cream.” (2015), for instance – that could have been picked out of a Twitter feed at random. The tension between this reference to the online world we all inhabit and the subtle physicality of the abraded paint surfaces as well as emphasis on the manual implied by the painty-fingered edges of a work like Zerstörung (2015) seems to describe exactly where we are at at this stage of the rise of the machines.